School age children love parties and celebrations! They’re fun and promote socialization. Whether you are a teacher, child care worker, or room parent-these tips will help you give the best parties ever! Children’s’ religious beliefs, the school calendar and district policy. Verification of dates – Check school calendar for children’s Testing Days, Field Trips, Parent Conferences, Market Days, and Special Events that may conflict with your desired dates. Funding: Work with your budget to plan for celebration and themed events. Will parents contribute supplies and goodies? Can you plan a fundraiser to earn money for parties? Plan parties for both morning and afternoon programs. Decide how long each party will last. Allow plenty of time for planning to have everything ready to go and set up—BEFORE the party begins. You can do this by preparing and using a schedule/progress guide. TIP #1: If you have an After-School program, when possible DO NOT plan a party when the school is having class room parties on the same day! TIP #2: Try to avoid the word “party” and substitute a word such as “celebration”. There are some children who hear the word “party” and believe it to be an invitation to a free-for-all! Involve all adult participants. If you have a group member that enjoys supervision of events (or you-yourself do) assign that person as the coordinator) However, do assign a facilitator for various areas. Consider involving the children of your program in the activity and party theme selections! Some children have very distinct ideas. These ideas may not always be realistic, but the party is for them, so try to accommodate their wishes as much as possible. Build enthusiasm and anticipation with notices, reminders, talking, and posters of upcoming events and meetings. Although a children’s party planning committee is recommended, previously meet with parents and caregivers to brain-storm possibilities, choices, and ideas that can be offered to the children’s committee. There may be years where children want greater involvement in planning and other years when they’d prefer the majority of ideas come from adults. 3. PARTY THEMES: Will the party have a theme or not? Themes in general can be used for an hour, a day, week, or month. One of the greatest benefits in ‘theme parties’ is the amount of activities that can be built into the days or weeks prior to the event. On the days preceeding the party, children can be occupied with invitations, decorations, posters, announcements, murals, placemats, center pieces, art, cooking, and anything that is theme related! Each day preceding the event can incorporate a themed-activity related to the party. 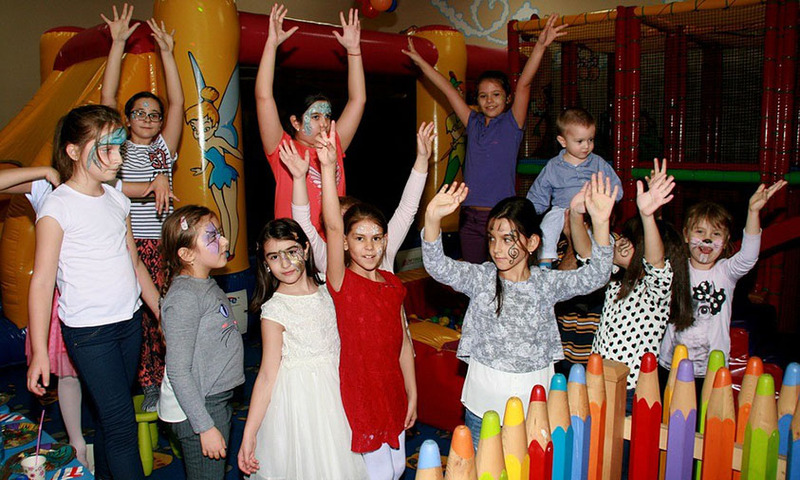 All theme-related activities culminate with the party-day or special event itself! With limited budgets—themed events should focus on all the activities rather than refreshments. Include “healthy snacks” with party foods. Serve cheese, crackers, veggies/dip, and fruit juice in addition to sweets. Prizes — Sweets are favorites with most kids; however, provide choices such as inexpensive items and trinkets purchased from Novelty Companies- and other Children’s Program approved sources. When children participate, make sure each one receives something. Inform the children that those who participate in a game or event will receive a prize for being a “good sport”. The winner will receive an additional prize.The competition will be healthier when the focus is on “fun” and each child knows there is a prize waiting for him/her, regardless of the event outcome. Be gracious and thank all involved in planning and event participation. Send a “thank-you note” to building custodian, and all personnel who help set-up or have additional duties as a result of the event. Be sure to thank each other! 6. RULES AND EXPECTATIONS… Inform the children of what you want/expect in behavior during actual party time. Previous to the event, talk at group meetings. During the occasion, be very clear in directions with one direction at a time. Check for understanding and needed clarification. Explain to the children what they are to do before, during, and after an event. The children need to know exactly what will be happening. Plan more activities than you think you’ll need, even though there is often not enough time to do all that is planned. Usually 60 to 90 minutes (depending on the age) is sufficient for a party. For some children, longer can turn into party over-load or wandering. If you will be doing a craft, plan something that can be done in 15 minutes or less and be relatively glue/mess-free. For an hour long party- plan about 35 minutes of games. If games are going by too quickly, repeat one or do a more difficult version. Adjust times to the length of the event. If there are small group game centers or stations, plan about ten minutes at each station. If a special ‘themed day or mini-camp day’ is being planned, be sure to alternate slow and faster paced activities. Too much, too fast, too long can be over stimulating. It’s good to end an activity ‘before’ the children become bored with it. End on a ‘fun note’ so they’ll look forward to participating when it is again repeated! Choose a variety that will appeal to all types of children. Plan for safety. Modify games for maximum safety. If children‘s movements need to be slowed during play, tell them to take scissor steps instead of running. If they choose, permit shy children to observe instead of play. Repeat favorite games from past parties—but also introduce new games. Play a quiet game at the end of the party to calm the children. Watch transitions during celebration events. Set up a theme based area with mazes, dot-to dot, word search, coloring, puzzles, etc. to keep children ‘busy’ while stations or activities are being set up or changed. TIP: Whatever you do, be enthusiastic! Themes and parties won’t “take off” if the facilitators aren’t having fun and joining in the spirit of the day. Offer Choices!! Have Fun!!!! TIP: When giving parties radiate calmness. Let the children get caught up in your peace, instead of you in their turmoil.